Scott-Sports Super Guide Carbon is the carbon re-enforced version of the Cosmos giving superb ski support with a high volume fit. 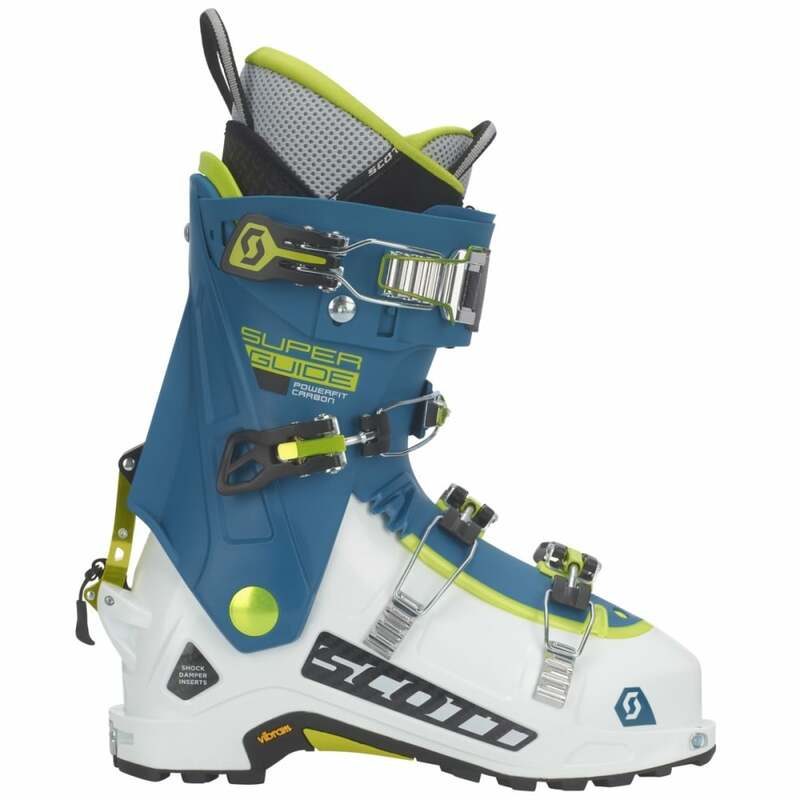 With the introduction of carbon inserts to the Grillamid shell, the Superguide Guide Carbon is a ski touring boot designed for powerful skiers and wider skis. Featuring a new external ski / walk mode to improve reliability and performance, the Superguide carbon is now better than ever. Weighing less than 3Kgs and with 60dgrs of cuff rotation the Superguide carbon is a 'proper' lightweight touring boot but the 120 AT flex makes them plenty powerful for the way back down. They still have the high volume fit of the cosmos making them a great choice for people with wider, high volume feet who want a powerful AT boot. This season they are available with or without the Gore-Tex membrane to the inner boot, we're stocking the non Gore-Tex version. A top of the range, modern performance touring boot for people with higher volume feet.